WHO BENEFITS FROM our “Tell Cancer to Take a Hike ”CAMPAIGN? The campaign supports hundreds of cancer patients who, each year, rely on Hope & Cope to help them cope with cancer. Both at the Hope & Cope Cancer Wellness Centre and at the Jewish General Hospital, Hope & Cope offers comprehensive, innovative services free of charge to cancer patients and their families. 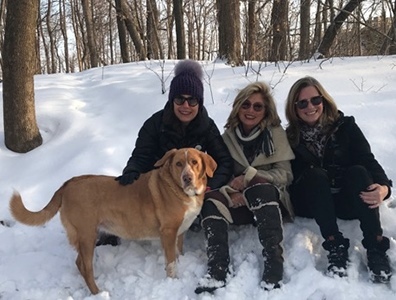 "There is no greater high than reaching the top of a mountain – and if we can raise money for Hope & Cope to help as many cancer patients as we can while enjoying the thrill of hiking, that’s even better!" Hope & Cope Board Member Howard Stotland lived the adventure in 2011 reaching the summit of Mount Kilimanjaro. He is an experienced climber who thrives on adventure. He also has a special connection to Hope & Cope – he grew up in the home that houses the Wellness Centre, and he is so pleased that his childhood home now does so much good for so many people. In addition to recruiting trip participants, Howard will obtain corporate sponsorships and help climbers reach their fundraising goals. Click here for more information about sponsorship opportunities. A retired entrepreneur who co-founded and built a highly successful multinational retail software company, Howard is a well-respected community leader and generous philanthropist whose easy-going manner, ability to motivate everyone around him and wonderful sense of humour make him the perfect person to chair this important fundraiser. "I have been a volunteer art instructor for over 11 years at the Hope & Cope Cancer Wellness Centre. I am committed to raising funds that enable the organization to continue to bring smiles to those battling cancer." "I am Manager of Volunteer services at Ometz and very happy to now volunteer as a member of Hope & Cope’s Tell Cancer to Take a Hike team. In my spare time I enjoy outdoor activities that include hiking, cycling and skiing." "I was diagnosed with Hodgkin’s disease at 18 years of age. I have been a volunteer with Hope & Cope almost from its inception, facilitating self-help groups for many years. More recently, for five years, I was involved in fundraising, helping to launch and Co-chair the Denim and Diamonds fundraising events to benefit the young adult division of Hope & Cope. I am married with three children, and a practicing attorney. My passion is spending time in Stowe."